Grey Matter Art continues its epic line of officially licensed Marvel screen prints with Deadpool by Doaly!!! 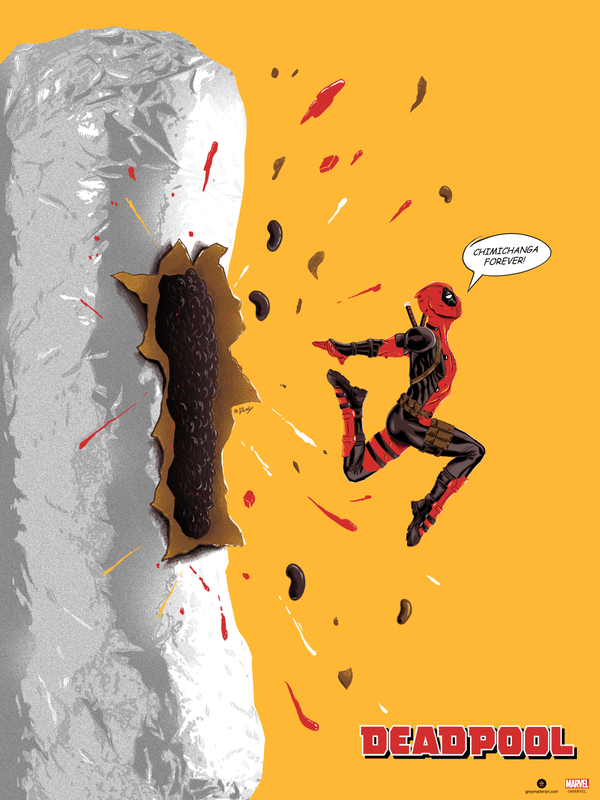 This insane poster features Marvel’s Merc with a Mouth bursting out of a giant chimichanga. It’s so crazy that it’s perfect. I mean has Wade Wilson ever looked so happy? What makes this print really cool is that it’ll be released as a Foil Edition, which is perfect for the aluminum foil wrapper of Deadpool’s beloved chimichanga. Deadpool by Doaly is an 18”x24” hand numbered screen print on foil paper. 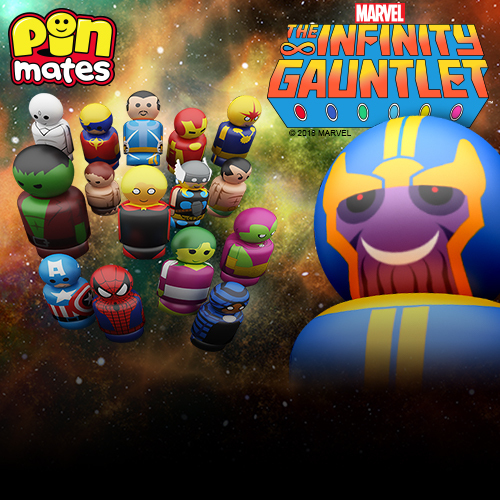 Limited to 125 pieces, this Marvel poster will go on sale at 1pm EDT this Thursday, August 9th, at the Grey Matter Art online store for $45.